I am so happy with this app. I am going to Germany and I feel prepared! 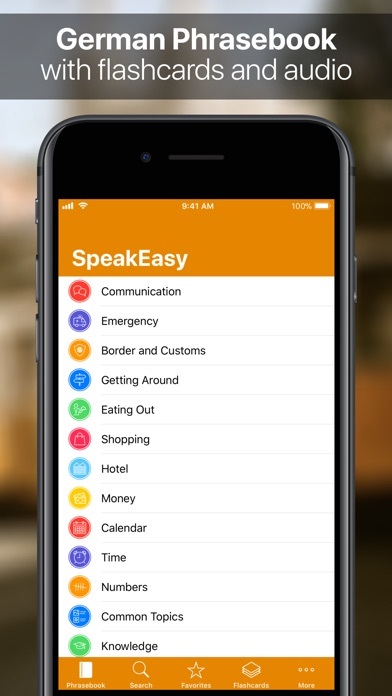 This app is incredibly practical and useful. This app would even more perfect if you added for phrases to it I would buy the second expansion pack. 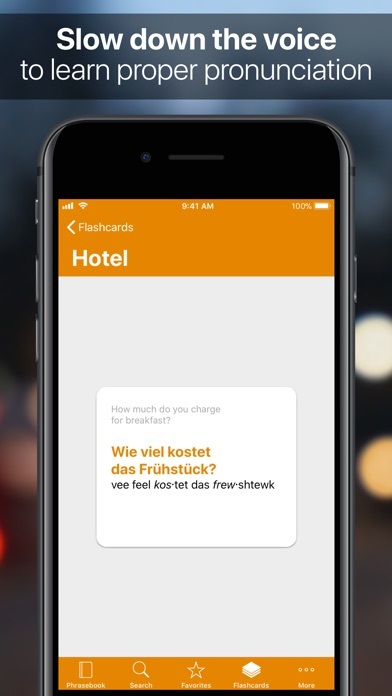 Add phrases that would help people understand the structure of german sentences. Also add more words as well. 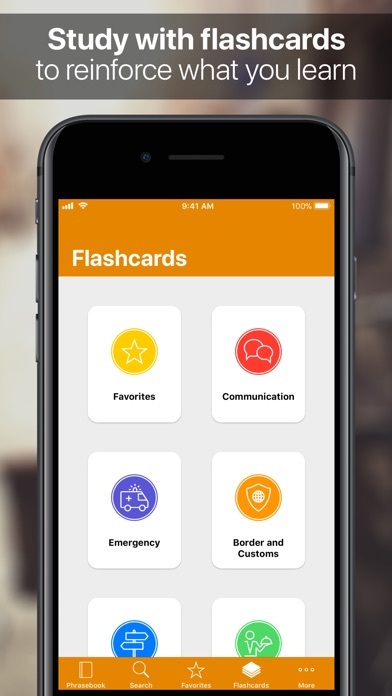 This is an excellent app to have on your phone. It is intuitive and up to the latest iOS standard. The ability to make and organize a list of phrases to keep handy is a key feature. Content is well worth the price. 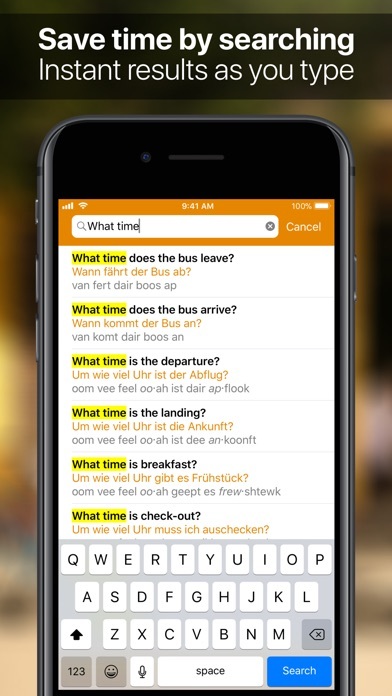 Great for learning or finding phrases quickly if you are traveling to a German speaking area but are not fluent in the language. 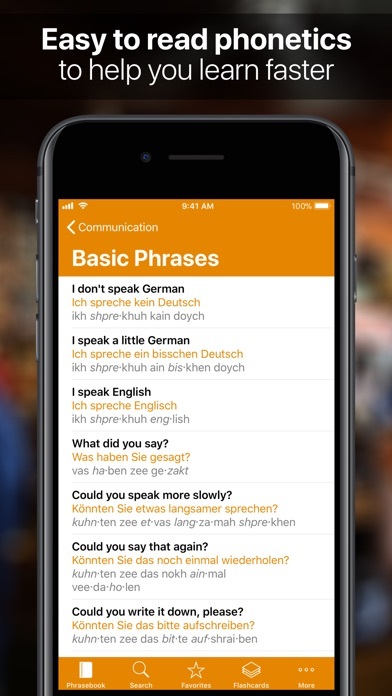 I would definitely use these apps on an as needed basis in other languages as well.